We call for a series of actions led by revolutionaries for proletarian feminism in the French state and the whole world. Starting from the 12th of April, we will relay initiatives that encourage the development and reinforcement of proletarian feminism and the revolutionary organizations which uphold it. This date was not chosen by chance. 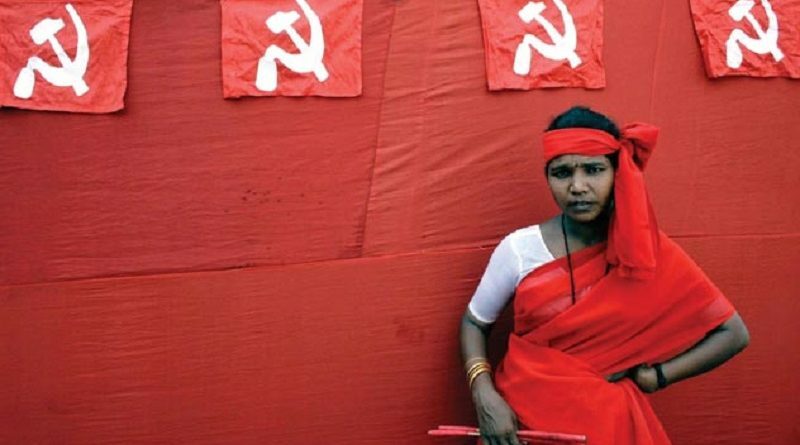 It commemorates the 10 years anniversary of the death of Comrade Anuradha Ghandy. This immense communist and proletarian revolutionary was one of the main leaders of women’s struggle for their emancipation in the Indian State. She passed away as a martyr, dying of a serious illness while she was serving the people, the women and their revolution. Her writings and actions incarnate the synthesis and essence of what proletarian feminism means. We also answer the call of the International Committee to Support the Peopleʹs War in India for the “Spring Thunder Tour”, a set of manifestations of internationalist, anti-imperialist and revolutionary solidarity with the People’s War in India. Long live the struggle of proletarian women for their liberation! Honor to Comrade Anuradha Ghandy! Onwards in the development of a proletarian feminist movement in the world!